This is a sponsored post written by me for Clearly Filtered. All opinions are mine alone. We have all heard about the importance of staying hydrated and drinking enough water during the day, but have you ever stopped to think about what’s actually in your tap water? In fact, there is a wide variety of contaminants present in the tap water in so many communities throughout the nation. A few weeks ago, I installed the 3-Stage Under-the-Sink Water Filtration System from Clearly Filtered. That system provides clean water for our kitchen and the main level of our house. However, for the lower level of the house, I got one of these Clearly Filtered Water Pitchers, which gives me total peace of mind that our drinking water throughout the home is clean & pure. The Clearly Filtered Water Pitcher features Affinity™ filtration, which removes more contaminants & carcinogens than many other filters on the market! In fact, it features a 3-stage process to attract & chemically bond 186 contaminants. What’s amazing is that this pitcher still maintains healthy nutrients and minerals so the water truly tastes great! Getting the pitcher set up is quick & easy. Start by using the included flushing disk to flush water through the filter. Unlike other models on the market, this pitcher comes with a flushing disk to ensure that the filter is properly flushed & ready for maximum efficiency. By the way, check out the clean, modern design of this pitcher. I love that it’s constructed from BPA-free Tritan plastic for safe, effective filtration! Once the filter has been properly flushed and inserted into the pitcher, it removes 186 contaminants from typical tap water. 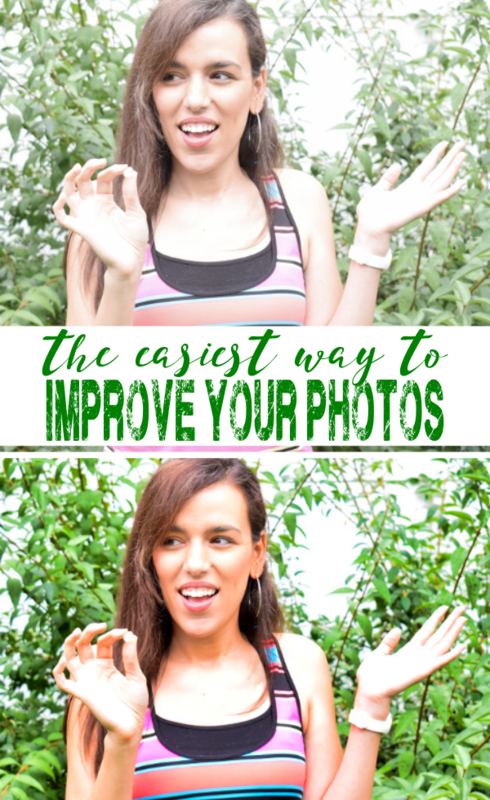 Keep in mind that when it comes to filters, fastest is not necessarily the goal. 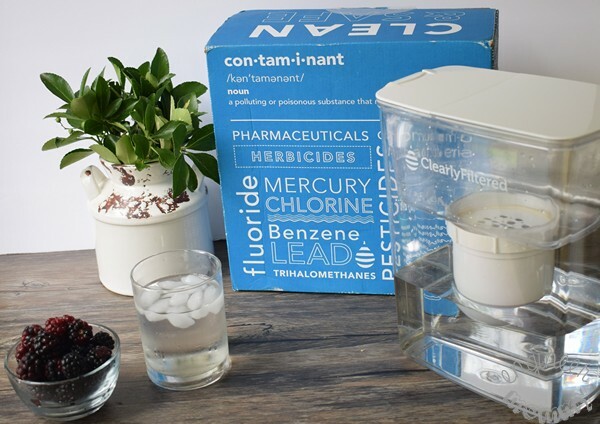 In fact, the longer contact time between the water and the filter is what enables this filter to extract a wide variety of impurities from the water, including fluoride, chromium-6, lead and so much more. With Clearly Filtered, the claims are independently audited and verified… so what they’re claiming to remove equals what is actually being removed! Indeed Clearly Filtered water is the smart choice for my family! Tap water can contain fluoride. While the Clearly Filtered pitcher removes 98% of it, many other leading water filters make no claim of removing it. Tap water can contain arsenic. While the Clearly Filtered pitcher removes 99.6% of it, many other leading water filters make no claim of removing it. Tap water can contain bacteria. While the Clearly Filtered pitcher removes 99.9% of it, many other leading water filters make no claim of removing it. Tap water can contain Chromium-6, Pharmaceuticals, Hormones, Trihalomethanes and Herbicides. 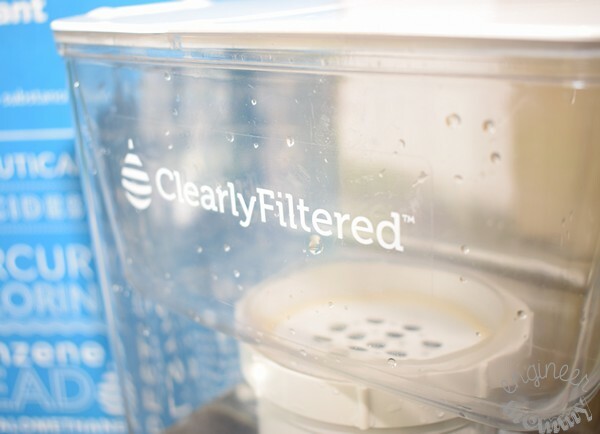 While the Clearly Filtered pitcher removes 99.9% of it, many other leading water filters make no claim of removing it. Tap water can contain pesticides. While the Clearly Filtered pitcher removes 99.9% of it, Brita and Soma filters make no claim of removing it. PUR filters remove only 92.6% of it. Tap water can contain lead. While the Clearly Filtered pitcher removes 99.5% of it, Brita and Soma filters make no claim of removing it. PUR filters removes 99.5% of it. Seeing how the Clearly Filtered Pitcher stacks up against other common models on the marketplace is pretty eye-opening, isn’t it? With Clearly Filtered pitchers, so many contaminants are extracted from the water so you can enjoy clean, fresh water with every single sip! 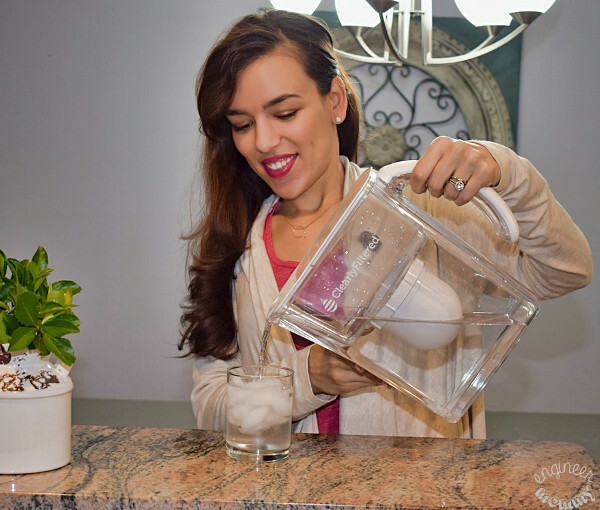 I’ve been striving to drink eight glasses of water per day and I love that the pitcher holds eight cups… so it’s super easy to keep track of my water consumption! 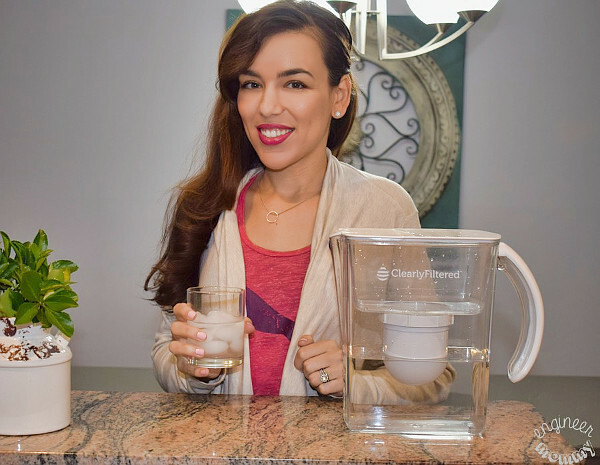 By the way, the Clearly Filtered Pitcher comes with a Lifetime Warranty so you can rest assured that the parts are designed to last and perform for the long haul. So what are you waiting for? 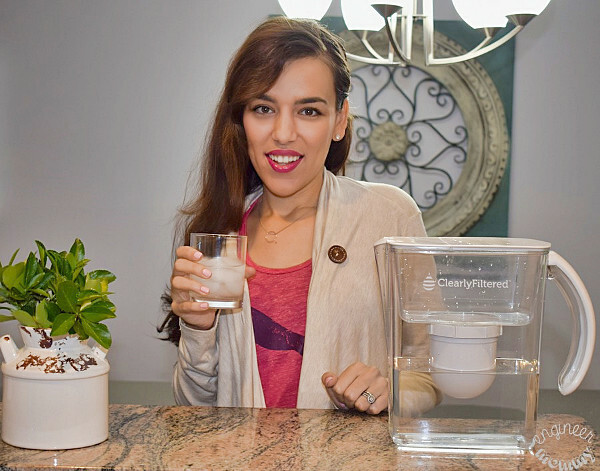 Experience Clearly Filtered water for yourself! How much water do you drink each day? Oh yes, clean water is important. I only drink filtered water to be safe. I try to drink it throughout the day, so I need to make sure it tastes good too! We have a filtration system in our kitchen that my husband installed when we had our first baby. It has been a great addition to our home. This is definitely something to think about. I never hardly ever drink out of the faucet anymore. That is just sad to say because as a kid I didn’t worry about it. As an adult I know we need to and so everything I drink is filtered. I have learned the importance of clean water and I think that filter is perfect. I try my best to drink a gallon of water each day. I have to look into getting this system. Clean water is extremely important to my family. Our city water tastes so awful. We have something similar but may take a look at this one. We just moved to a new home and this would be awesome to have. I can’t believe all the harmful chemicals there are in our water. It is very sad! Wow! I had no idea my filter (brita) wasn’t really removing anything before seeing this! I have been duped and drinking sub-par water for years not knowing there was a difference between filters. Good to know! Yes, it’s eye-opening to do the side-by-side comparisons. Check out the chart on Clearly Filtered’s site for some surprising numbers! I am a freak about our water. We use a filter system to get out all the junk. It seems like the Clearly Filtered system really does get rid of the contaminants. I need to check into this as it seems our filtration system isn’t getting the job done. It sounds like this pitcher gets the job done. Even more so than other water filtering pitchers out there. I have wanted to get a filtered water pitcher. This one has all the features I find important. I am glad you did this review, it has helped me make a decision about my clean water habits. The filter on our fridge broke, and I would like to get a water purifier. I can often taste the difference in water quality, even very small. Clean water is so so so important! As someone who loves tap water I need to invest in a good filter for my tap or a pitcher with a good filter! Thanks for the heads up! We had one similar to these few years ago and loved it. When we moved back to the US, we left it in Korea. I should get another, I’ll check this out. Yes, it is so important to have clean and filtered water. I have never heard of this brand before but, I am going to look into them more. I love that it is see-through too! I have a nice filter in my fridge. I make sure to change it semi annually too. I couldn’t agree more on this. Water is needed in our everyday life and our body cannot live without it. Ensuring intakes of clean water is a must. We have always had filtered water through our refrigerator but this is a great way to have clean water on hand when we aren’t home or when we have guests over.